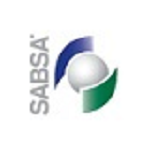 The Matt Whelan Founders’ award is given annually for the best SABSA Practitioner Examination Answer or Masters Thesis. 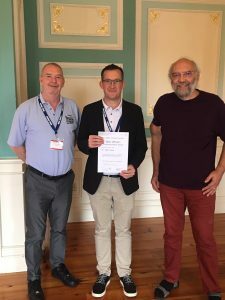 Presented at the COSAC Security Conference in Ireland, the winner for 2018 is Mr. Robert Laurie, from Perth, Australia. Robert is pictured below receiving the award from Institute CEO David Lynas & Chief Architect John Sherwood. Huge congratulations once again to Rob Laurie for a fantastic piece of work. A richly deserved award. Matt would have related to the work and been delighted to have a first Australian receive the award in his name.